Football is called the beautiful game. Well, now Pragmatic Play has turned football, the world’s most popular sport, into online slots games. 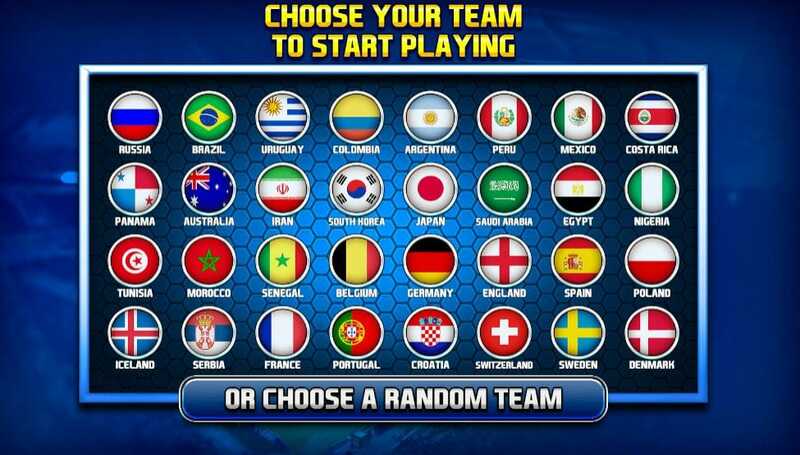 Choose your team from one of 32 countries before you play to add a touch of competition to proceedings. 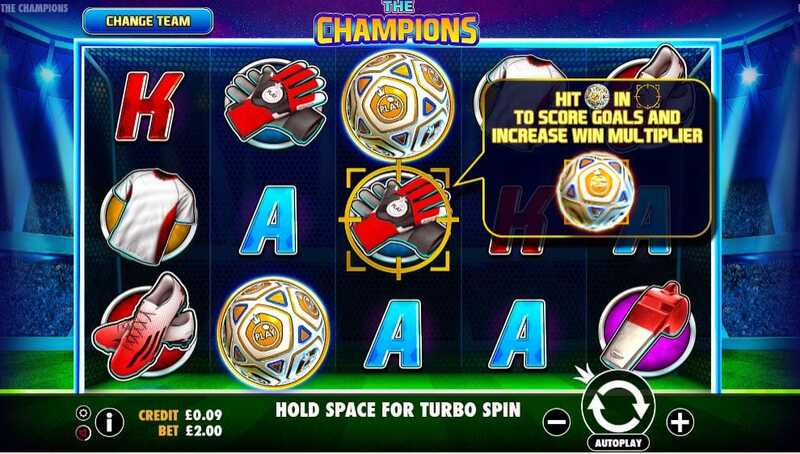 So don your team’s football shirt and get ready to spin the reels and score some goals in this sport and slot mash-up when you play new slot at slotsbaby. If you love promo's, check our bonus spins today. Pragmatic Play is one of the fastest growing providers of digital casino games in the online gaming industry. They have already grown an impressive portfolio of over 80 games across 78 countries and 26 languages. Their speciality, like so many of their peers, lies in creating a variety of slots online, with popular titles including Wolf Gold, Panther Queen, Gold Rush, Chilli Heat, Fairytale Fortune and many, many more. Averaging an incredible two games per month, Pragmatic Play also offers many of their games on mobile as well as a desktop for on the go play! You can modify the Coins per Line (a range of 1 to 10) as well as the Coin Value (6 increments between 1p and 50p) for a total bet that can be anywhere from 25p to £125. The music has an 80s movie vibe, starting off relaxed and very synthy, kicking up a gear once those reels start to spin. Low value symbols are Q, K and A. Higher value symbols are football paraphernalia: a whistle, a pair of gloves, a pair of football boots, a football shirt and the football itself. The WILD is a trophy with The Champions emblazoned across it. It awards 0.80 for 3 of a kind, 5.00 for 4 and 10.00 for a match of 5. The WILD substitutes all regular symbols and is present on all reels. There is also a bonus SCATTER that can trigger the Penalty Shots bonus game. The SCATTER appears only on reels 2, 3 and 4 and you must hit 3 to trigger the game. The game awards 5 penalty shots which involves selecting one of 4 targets for each shot to score a goal. For scoring 1 to 5 goals in the round, you will be awarded a 5x, 10x, 15x, 25x or 100x multiplier respectively. The real thing that makes this online slot interesting is the Momentum Progressive Game. You can manually select a square on the Gameboard by clicking it and placing a target over it. If a football lands on that slot when you spin the reels, a goal is scored.